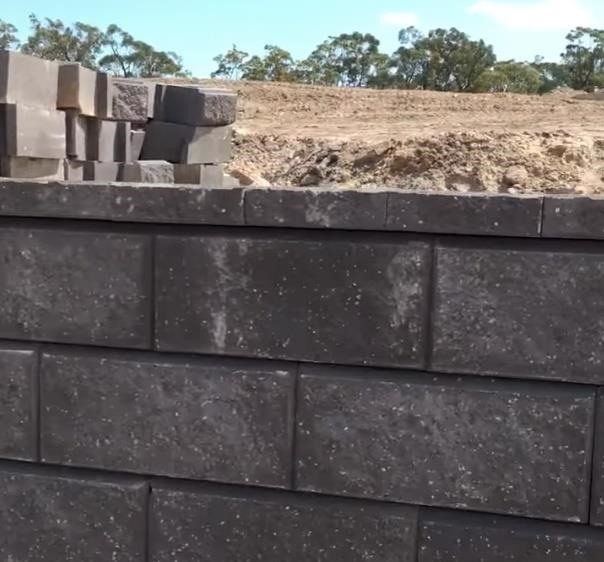 Watch as a row of precisely-spaced brick dominoes falls perfectly into place. And please, just this once, ignore the vertical video syndrome. This amazing feat of masonry was executed by stone workers in Teralba, New South Wales in Australia. 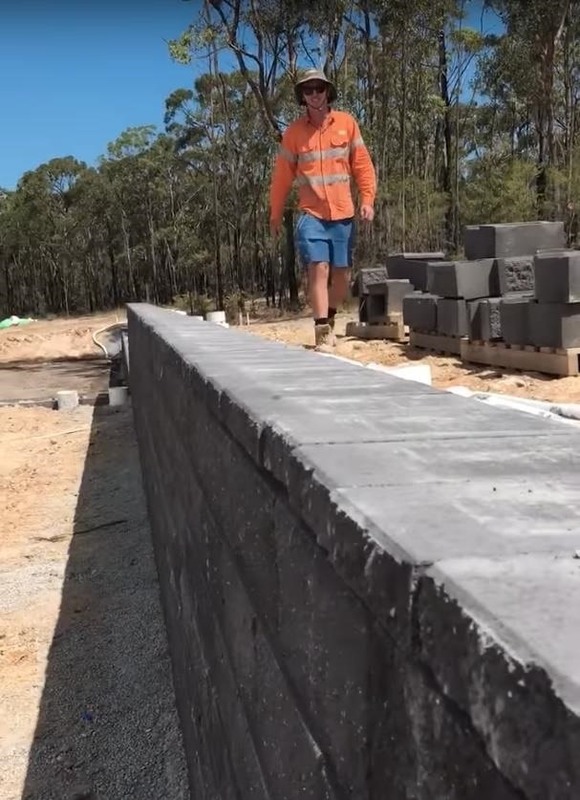 The workers successfully cap a stone wall with just one push. Capping, or coping, is the process of creating a protective top surface for a wall or wall-like structure. 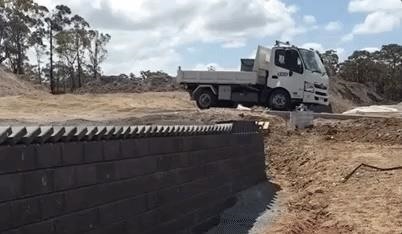 When asked to provide a comment on how exactly they figured this out and got it to work, the only thing the builders would say is: "All we did was shoot a video of capping the wall using the technique that we filmed." But what is the technique?! Okay, so what appears to happen is that the stone bricks are aligned so that when they topple, the top of one bricks overlaps the bottom of the brick in front. Then, once all of the bricks are knocked over, the last brick can lay completely flat. By flattening out, this creates enough room for a reserve effect, in which each overlapped brick slides out into its own space flush against the bricks on either side. This creates a flat cap on top of the wall. I can't imagine how long it took to plan, painstakingly set up, and execute this process, but damn is the result satisfying. I could watch the video over, and over, and over again without any guilt or shame, though I really wish they shot this in landscape mode. Share this article using the links below, and let us know what you think in the comments! If you enjoyed this post and have ideas about things happening in the world that inspire wonderment, send a tip over to kpuccio@wonderhowto.com or share it with @WonderHowTo on Twitter.